Several models the American manufacturer never even offered on US soil. Chevrolet has a proud history in the United States of America, producing everything from pick-ups to pony cars in a history spanning more than 100 years of bowtie-branded vehicles. The home-grown brand has expanded globally, and at times retracted a little too, and though in that time there have been many popular models, both locally and globally, there have also been many models that the USA never received. From a rather substantial list, we’ve picked ten Chevrolet models you likely never knew existed. Chevrolet knows its way around a pick-up truck, but the Montana is a compact front-wheel drive ‘ute’ that couldn’t be further from the Chevy trucks we’ve grown to know. It’s a product of Chevrolet do Brasil, originating from origins of the formerly GM-owned Opel brand’s Corsa. Built to corner a market where cheap work vehicles are required, the Montana has also been popular in other markets such as South Africa and Mexico, where it was known as the Ute and the Tornado respectively. Regardless of the market, the Montana featured front wheel drive, diesel or gasoline engines, and a carrying capacity of around 1600 pounds. With a wealth of sub-brands owned by General Motors, there have been many badge-engineered models for Chevrolet in recent history. Among them was the Chevrolet Lumina SS. It was based on the same underpinnings as the Chevrolet SS, Pontiac G8, and Holden Commodore – rear wheel driven with a 362-hp 6.0-liter GM small block V8. But unlike many of the rebadged or similar models, the Lumina SS was available in either a sedan or a coupe utility pick-up. Few would ever actually use it as a workman’s vehicle, but the loud brawny V8 was ripe for tuning and the reduced weight over the rear axle meant it was always eager to smoke up the rear tires. Due to the number of sub-brands owned by GM, it wasn’t uncommon for Chevrolet to receive pieced together cars for certain markets. South Africa in the 60s and 70s was a country full of love for the Chevy brand, and they received a car not even Chevrolet USA supplied. The Chevair was a bits-and-pieces model that took the body of the Opel Ascona, the front fascia of the Opel Manta, and blended the Chevette and Corvair nameplates. Based on GM’s U-car platform the Chevair offered 2.0- and 2.3-liter four cylinder engines – but the Chevair didn’t last long as Chevrolet began the process of pulling out of South Africa, for the first time. The Chevrolet Omega was yet another Opel-derived Chevrolet, but this time for the Brazilian market. In Europe, the original Opel was even fettled by Lotus to create the M5-baiting Carlton, but in Brazil, the Chevrolet Omega received a vastly reduced engine line-up. A choice between a 2.0-liter four cylinder and 3.0-liter 6 cylinder was available, but when Opel’s production of the Omega ended, Chevrolet do Brazil reverted to older engines from the Chevy Opala. Yet another South African special model by Chevrolet, the Kommando didn’t derive from an Opel. Instead, GM South Africa lightly modified and rebadged the Holden Kingswood, offering it with 3.3-liter and 4.1-liter inline 6 engines, and a range-topping 5.0-liter V8 engine. It was a miniature muscle car for its era, and the name denoted as such. Being South African, the name was derived from South African military squads of the time, known as Kommandos. 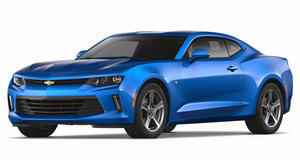 Just like Volkswagen offers a range of bespoke vehicles in South America, Chevrolet does too. One such vehicle – built to succeed the previously rebadged Opel Corsa – is the Chevrolet Onix. The sub-compact Onix is sold in Brazil, Argentina, Bolivia, Chile, Colombia, Paraguay, Peru, and Uruguay. A front wheel drive hatchback, the Onix offers two engine derivatives, a 1.0-liter and a 1.4-liter, both 4 cylinders in configuration. But for budget markets, only two airbags are offered along with ABS brakes, ensuring it wouldn’t be suitable for the US market if it were ever under consideration. Before the Onix arrived, Chevrolet Brazil had another subcompact model available. The Chevrolet Agile looks familiar – with a front end fascia very similar in design to the Chevrolet Cruze – and itself formed the basis of another car on this list, the Montana. Just one engine can be found in the Agile’s engine bay, a 1.4-liter 4 cylinder developing 91 hp in most South American markets. In Brazil though, a Flexfuel derivative produces 96 hp on gasoline and 101 hp on ethanol. The now defunct Agile fared poorly in safety testing, scoring zero stars for adult occupants. Opel Astra, Chevrolet Vectra, Chevrolet Astra – all different names for the same vehicle. It’s genuinely an Opel Astra, but in South American markets where the Chevrolet brand was more prominent, GM saw fit to rebrand accordingly. Throughout the nameplates history, several derivatives have been offered, ranging from commuter to high performance, with an OPC derivative sold in some markets that competed directly with the Golf GTI. The Chevrolet Astra was discontinued ahead of the 2009 model, when the Chevrolet Cruze came along based on the same platform. Considering Chevrolet has pulled out of South Africa not just once, but twice in recent history, it’s amazing so many South Africa-only models were made available. The Firenza was one of them – essentially a rebadged Vauxhall Viva, and bearing no relation to the Oldsmobile Firenza. It was available between 1970 and 1979, packing a 4-cylinder engine, and what was marketed as many big car qualities in a small car package. Those of you North of the Canadian border may have seen the Firenza in passing, as it was sold for a few years in Canada as a Vauxhall. They’re unlikely to exist today though, as they suffered severe corrosion issues. When GM and Chevrolet branched into Asia, they did so through South Korean brand Daewoo. The Daewoo Tosca adopted Chevrolet badging in certain South American markets as the Chevrolet Epica, but Iceland was the only country in which it was sold as the Chevrolet Tosca. The midsized family sedan was available with a range of engines, including the transversely mounted 2.0- and 2.5-liter inline-6s developing 139 hp and 154 hp respectively. Interestingly, these ‘XK’ denominated engines were designed by Porsche. A South Korean Chevrolet with a Porsche designed engine – something unlikely to ever be repeated again.